Day 1: arrival day to Menara airport and transfer to your hotel . rest of day will be just relaxing and free time to explore city by yourself .Overnight in riad or Hotel. Day 2: transfer to Ait Bougmez valley via Azilal city .We will have stop in waterfalls of Ouzoud for beautiful visit then drive to Azilal for picnic lunch. night in guest house at Timmt village.5 hours of drive. Day 3: trekking from Timmitvillage to Ikiss N’arous 2260m .today is wonderful hiking dayacross Berber villages and green fields of apples. Camping,5 hours of walk . Day 4: full day walking to Tarkeddet plateau 2960m. After having breakfast , We take our way uphill to get the mountain pass which at 3400m and then walking downhill for an overnight in camp .5 hours of walk . Day 5: climbing the M'goun mountain 4068m is optional ! !.the trail is easy at the beginning of walk but as long as you get closer to top the trail becomes more difficult and steep. When you are on first pass you will have 1 hour walk on edge moving slowly forward to the top. 8 hours of walk. Overnight in same camp. Day 6: full day hiking to the beginning of Tassaout valley2000m ( Tasgayoualt village )via Asdram mountain pass.We are going have great walk throughout pastures of M’goun mountain and great views of the beautiful Tassaout. Fantastic scenery of the area. Night in camp at Ait Ali N’Itto village, 6 hours of walk. 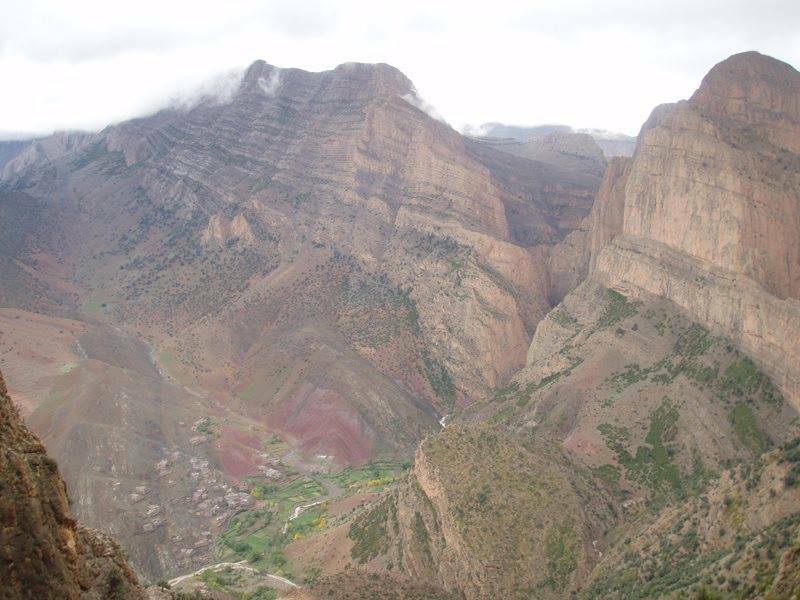 Day 7 : lovely day hiking along Tassaout valley2000m walking on water from time to time .this journey is great across the gorges and the several picturesque Berber villages. overnight in guest house . 7 hours of walk . 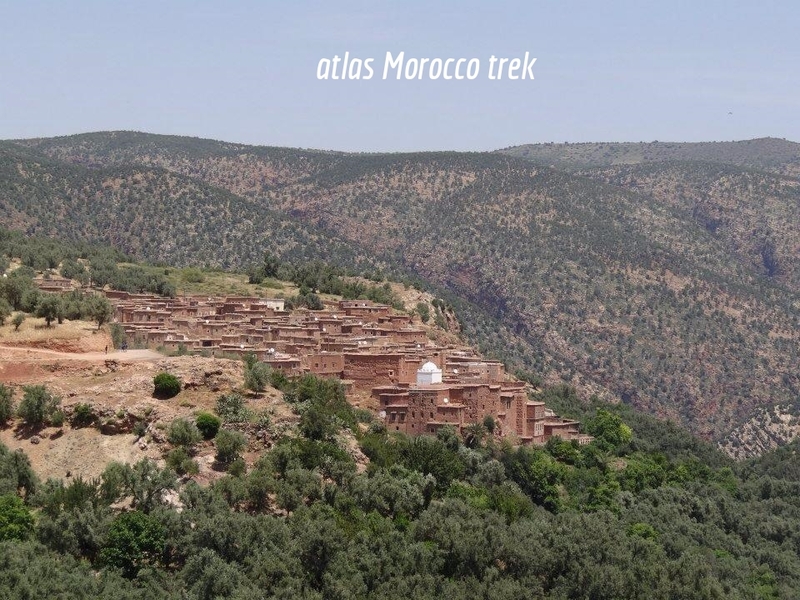 Day 8: beautiful full day trek via an authentic Berber village of Megdaz which is one of the oldest Berber villages in Morocco.Its massive Kasbahs will give you an idea of the Real Berber architecture of the area. Then we continue our journey through colourful mountains. Overnight in camp in Tagourt village . 6 hours of walk. Day 9: walking day to Taoudja pastures,today is just another splendid journey crossing grey atlas mountains and you are in nowhere in middle of the nature. Night in camp . 5 hours of walk. Day 10: fantastic walking day from Taoudja to Tamda lake, the hike today will take us through beautiful mountains. Overnight nearby this gorgeous lake. Day 11: Hiking to Tighza valley,relaxing afternoon in guest house. Day 12: Short walk to Anmmeter village and Transfer back to Marrakech, drop you off in your hotel in Marrakech new town. Travel insurance, flights, drinks such as water, wine. Tipping for local team ( guide, driver, muleteers), as you know tipping in Morocco is part of its culture everyone expects the tipping after the service. Two people : 895 € per person in private trek. Four people: 820 € per person. Five people: 740 € per person. 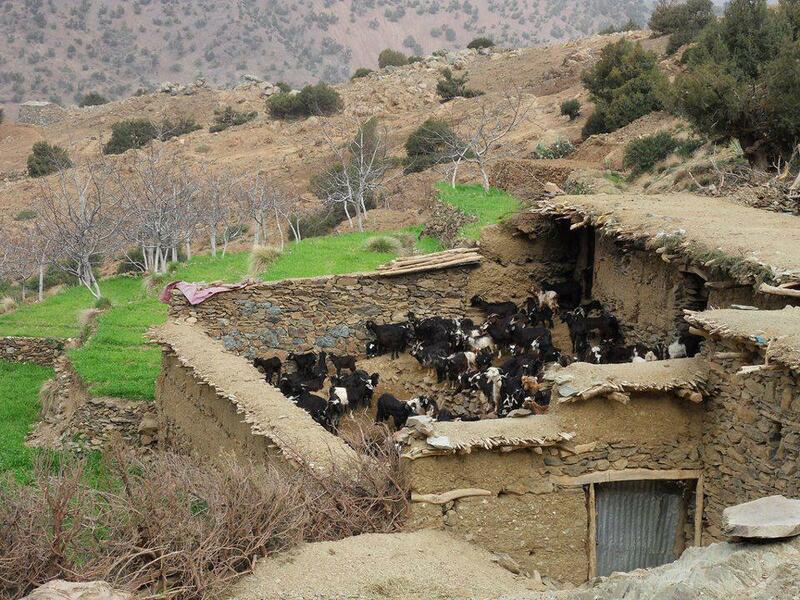 Highlights: Tassaout Valley, Old Berber village of Megdez, fantastic Tamda Lake, Nomadic families and one of the most beautiful parts of the Atlas range. Day 1: Transfer from Marrakech to Tassaout valley ( Ait Alla village) and start walking up to ancient Berber village of Megdez. 3 hour drive, and 3 hour walk. Overnight in Camp. Day 2: Walk uphill through beautiful, colourful mountains and meet nomadic families. Overnight camping in Nomadic pastures of Taoudja. 5 hour walk. Day 3: Trekking journey to Tamda Lake which is a natural lake in middle of the mountains. Today's walking tour will take through the most beautiful mountainous areas of the region. Overnight camping near the lake, 4 hour walk. Day 4: Hiking day to Tighza valley. The walk will be downhill through the pastures of Anfargal and overnight in a guest house. 4 hour walk. Day 5: Another great journey walking to Telouet region across the forest and visit Telouet kasbah before you take the car back to Marrakech in the afternoon. 4 hour hike. 3 hours of drive. Four people: 310 € per person. Five people: 290 € per person.